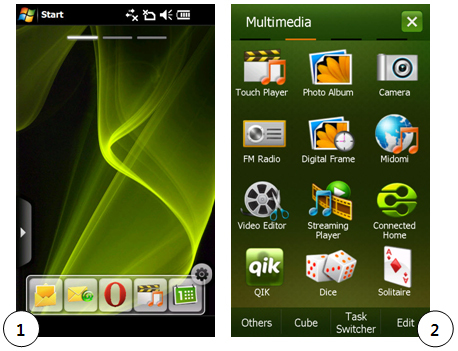 How to use DLNA Technologies? 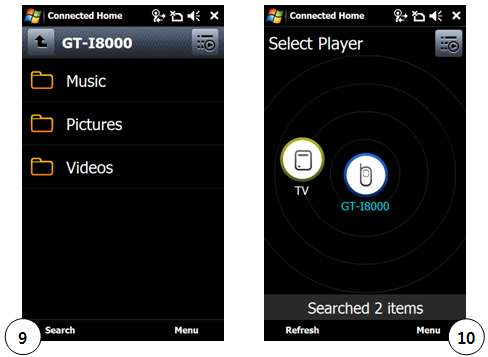 To use DLNA Technology with GT-I8000 and TV, Wi-Fi must be connected via same network connection. That is DLNA function must be installed in TV with Wi-Fi connection. For Samsung TVs connection to WI-FI is all the setting you need. 1. Select “Menu” from the idle screen and go to second tab. If Wi-Fi is not activated, Connection message will pop up. Then tab “Wi-Fi on” to move to “Select Network”. Click on the desired network. 3. 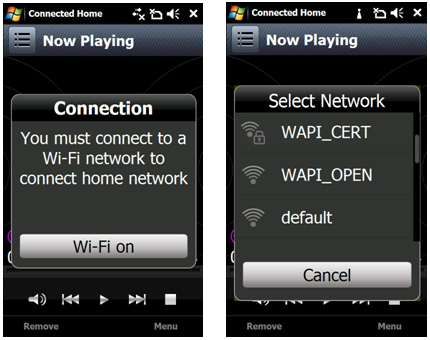 “Now Playing” screen appears once Wi-Fi is connected. 4. Select “Setting” by tap on “Menu” (to create shared folder). 5. If you see light next to “My media Sharing” section, then it means Wi-Fi is activated. 6. Click “Sharing Folder” and select the folder which contains the contents. 7. Click “Select Contents” icon to move to “Contents Location”. 8. 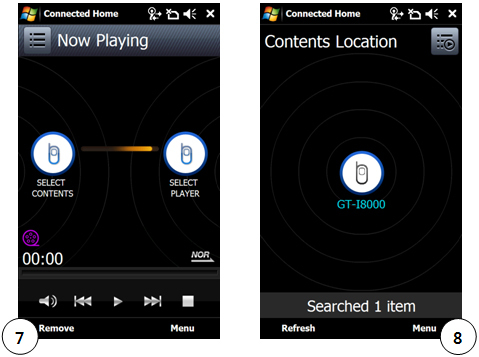 Click your device(GT-I8000) displayed in the middle of the screen. 9. Select the content to play and move to “Select Player”. 10. Select the device to play your content. 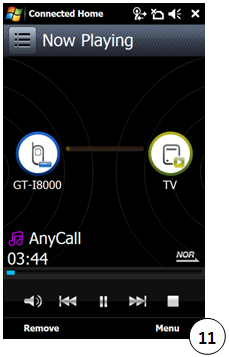 If DLNA service is in TV and share same WI-FI Connection to the mobile phone, then, TV icon will appear on the screen. 11. 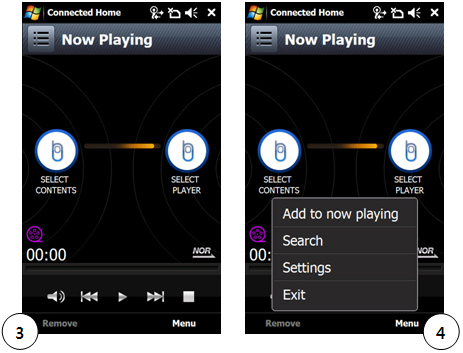 Now you can play Contents using DLNA Technologies. • For TV Settings for using DLNA, please refer to relevant TV’s DLNA Guide, as they are all different for different models. • TV must be set for DLNA use prior to connection to the mobile phones.